The NBA playoffs are underway which means every basketball fan on the planet is sitting in front of their TV cheering on their favorite team, as long as they actually made the playoffs. If not, well you’re just watching to see who will win the NBA title and hopefully it isn’t the team you despise. Meanwhile, all of the sneakerheads are watching the games for a much different reason. They’re just checking the matches out to see what sneakers the players are wearing. 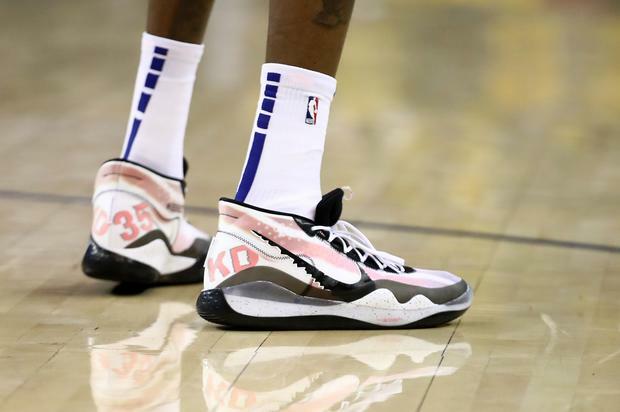 We all want to know what special PEs every player has and it looks like Kevin Durant will be one of the guys who is laced to perfection every single night.